Enjoying 2-3 servings daily helps keep your levels lower and gives an extra boost to the positive diet and lifestyle steps you've already taken. A daily intake of 1.5-2.4g plant stanols lowers cholesterol by 7-10% in 2-3 weeks. Each serving contains 0.8g of plant stanols so that's why 2-3 servings a day gives the effect when consumed with a main meal and as part of a healthy diet and lifestyle, including your '5 a day'. Keep chilled., Best Before: See Top of Pack. The beneficial effect is obtained with a daily intake of 1.5-3g of plant stanols. More than 3g of plant stanols per day is not recommended. Check with your doctor if you are taking cholesterol lowering medication. 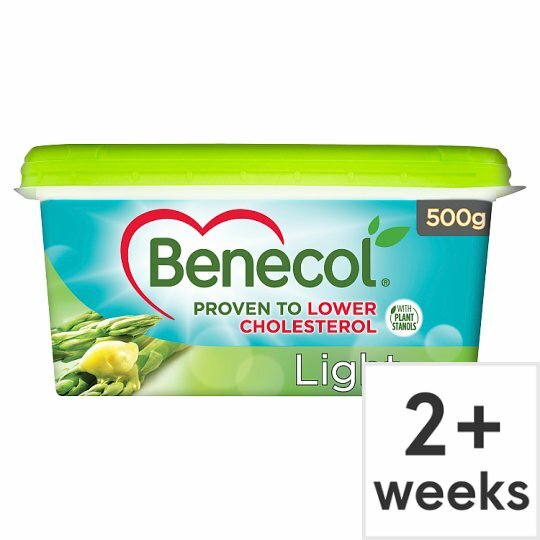 Benecol foods are not intended for people who do not need to control their blood cholesterol. Benecol foods may not be nutritionally appropriate for pregnant or breast feeding women and children under five years old. Heart disease has multiple risk factors and you may need to change more than one to lower overall risk.